If not for the Grace of Allah (Azza wa Jal) and the Rahmah of Allah (Azza wa Jal) we would not be in existence. We are not claiming to be anything and asking to reach Allah (Azza wa Jal)’s Rahmah and Mercy. In the holy month of Dhul Hajj and the holy Hajj these are the blessed days. These are the days in which Allah (Azza wa Jal) wants to gift to the servant the lights of Divine Realities. That all of the Heavens are open from Malakoot to Mulk, everything opened to begin to dress the souls of servants. Those who are ascending through their Islam, their Iman, through their Maqaam al-Ihsan means these are the holy nights in which Allah (Azza wa Jal) is blessing and dressing. Those who took a path of every year starting in Muharram to imitate the way of Awliyaullah where they understood there are twelve hijabs, and their life is a constant hijrah into the Divinely Presence. They take a path and follow Ahl al-Haqaaiq, the People of Realities. Alhamdulillah this is the pay day, this month and these ten days [first 10 days of Dhul Hijja] are the days in which Allah (Azza wa Jal) dresses that servant who has been traveling through the deserts of dunya and coming on to their twelfth month through all their testings, and everything throughout the year. This is the time in which Allah (Azza wa Jal) and the Rahmah of Sayyidina Muhammad (sallallahu alayhi wa sallam) begins to dress. The barakah of Awliyaullah begins to dress and bless these souls and we pray that Allah (Azza wa Jal) includes us amongst them. We are coming only by means of our love for Allah (Azza wa Jal), love for Sayyidina Muhammad (sallallahu alayhi wa sallam), love for Awliyaullah and pious people. We claim nothing and our actions are nothing and we pray Allah (Azza wa Jal) be Ghaforur Raheem (All Forgiving, Most Merciful) and forgives us where we are coming short. Allah (Azza wa Jal)’s Greatness and Azeemat is something that can’t be imagined. My smallness is so small that I am astonished if Allah (Azza wa Jal) even notices me. It means He can wipe out sins in an instant. All we have to do is ask and Allah (Azza wa Jal) grants inshaAllah. Who does not know himself will not know his Lord. So we took a path in which we’re trying to know ourselves. That way of knowing the self means you are going to find all the rabs (Lords) and all the arbab (lords) that are governing insan. So there is not only one rab, Allah (Azza wa Jal). Allah (Azza wa Jal) is the Creator! But there are many lords upon this heart, that are governing this body not to submit, not to pray, not to fast, not to give in charity. Had we conquered these rabs and destroyed the false lords that govern this body, we could be walking on water. 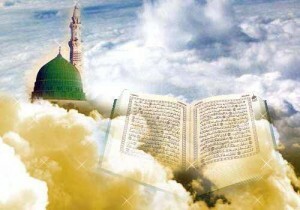 We should be seeing the Seven Heavens and hearing the Zikr of Malaikah, angels. Means if we didn’t achieve that, then they are reminding us: there are many lords upon your heart. These were the idols that Prophet (sallallahu alayhi wa sallam) was fighting. There were 360 idols in Makkah. Makkah is the state of the heart. 360 idols that were blocking and encompassing Makkah because it is significant for the heart. Means that we have 360 lataaif (energy points) on the body. Each one of them has an idol on its place that is trying to block us from submission to Allah (Azza wa Jal). Then we took a path of realities and what we talked about last night is that Sayyidina Yusuf the 12th Surah [of Holy Quran] for the common people because this reality will go all the way up till 9×12 which is the Kawthar [108th chapter of Holy Quran]. Ahli Kawthar means the people of marifa’ah are moving from base 9. They move through the Surat of Tawbah all the way to the 12th hijab which is Surat Kawthar. For us common people we are on the 12th Surah of Holy Qur’an as an example for us in this holy 12th month, the month of completion. Where Sayyidina Yusuf is inspiring within ourselves that, “You are going to be thrown into a hole, into a well and you are going to be isolated,” and then all our life is about fixing that self. Islam, Iman wal Maqaam al Ihsan. These are three that are governing our entire life. Maqaam al Ihsan from ati ullah. Maqaam al Iman from the obedience to Prophet (sallallahu alayhi wa sallam) where he describes that: you have to love me more than yourself, then you have the Maqaam of Iman. Ulul amri minkum means to follow the ulul amr in our lives that is the way to achieve our Islam. Islam is not a noun that you wear upon yourself and say, “I am a Muslim.” You are not a Muslim until you reach submission. Once you have reached submission Allah (Azza wa Jal) declares the title: now you are a Muslim, you are somebody who is submitting. If you are not somebody who is submitting then you are merely wearing Islam like it is a Versace or Polo. It is just merely a noun it is not really an action for us. So our Hajj is not only the $15,000 package in Saudi Arabia but the first Hajj is within ourselves. It is so easy. So, nobody can say, “Yaa Rabbi I didn’t have the means to make it.” No, you slept with that being everyday. That Hajj is you, that way is within us. There is no ticket required, you see him or her every night. 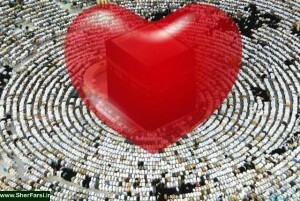 What they want from us is then the House, your heart, is the Holy Ka’bah of Allah (Azza wa Jal). Busy yourself going into your heart. Busy yourself with all your being. Sayyidina Yusuf (alayhi ‘s-salaam) reminds us and it is a big reality, Alif, Laam, Raa, because this is the reality of the Rabaniyoon. 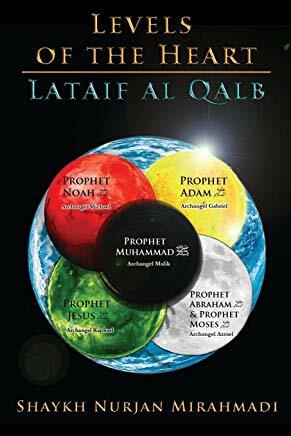 Izzatullah, bi lisaan al Haqq into the Laam of Sayyidina Muhammad (sallallahu alayhi wa sallam), and the Raa, these are the stories, the qisas of the arbab. These are the lordly souls. These are not the houses of the commoners but the house of lords. Means Allah (Azza wa Jal) has gifted to souls lofty titles. If we keep ourselves to be from commoners means we are not trying to reach towards the Heavens. We are trying to be people of the barnyard who eat, drink and pooh. Allah (Azza wa Jal) said: that is why I sent you down because you ate and you weren’t supposed to go to the bathroom in Paradise, means that is not our reality. Our reality is the lofty titles, the lofty soul which Allah (Azza wa Jal) wants from us: be Rabbaniyoon. I think it is in Surat Aali Imran verse 79. Be Rabbaniyoon. You learned the kitaab and you taught the kitaab and your whole life is to be from that reality. 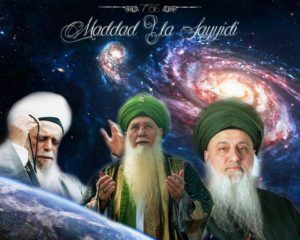 So Sayyidina Yusuf (alayhi ‘s-salaam) comes and teaches: yaa Baba I am having a dream that the 11 planets are bowing to me and the Sun and the Moon are bowing to me. Awliyaullah come into our life and teach, “That that is the reality of Awliyaullah.” What did Prophet (sallallahu alayhi wa sallam) describe from the prophets of Bani Israel? That my ulama inherit the realities and the stations of Bani Israel and the prophets of Bani Israel. Sayyidina Yusuf (alayhis salaam) is inspiring within our hearts that, “I saw the 11 planets, the Sun and the Moon under my control,” because bowing is only for Allah (Azza wa Jal). This was a bow of ihtiraam (respect) to show when Allah (Azza wa Jal) is going to give His Mulk, He is going to give command of that entire galaxy to that prophet. We talked last night that one understanding was the eleven brothers Sayyidina Yaqub and his wife but they are place holders for a reality. This is insaan (Human being). Allah (Azza wa Jal) doesn’t care for dunya. From Malakoot and into the World of Light. He is describing that when Allah (Azza wa Jal) gives Awliyaullah, gives pious people, He doesn’t give them cash; He doesn’t give them an accounting license, He gives from His Heavens. He (Azza wa Jal) says: this Heaven is under your control, these stars are under your control, this Moon is under your control, this Sun is under your control. 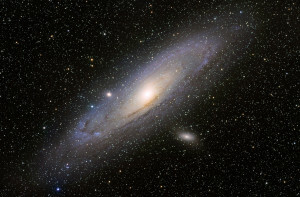 How many galaxies do we have within this universe? Billions! So Allah (Azza wa Jal) is not running out. 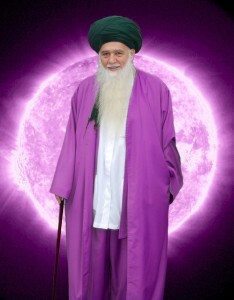 He says: I can bring a galaxy in an instant and you will be placed under control of it. That is what I want to give to you from the Mulk of the Heavens, the Mulk of dunya and then from the Malakot, Heavens, which is kulli shayy (all encompassing). Glory be to the hand that encompasses the Malakot. That one holds everything. What they begin to inspire, when you look within yourself and contemplate and meditate within yourself that you have eleven essential organs. You have a heart which is your shams (sun), and you have a head, your brain, your face, which is your qamar (moon). So Allah (Azza wa Jal), just as every father says: if you can manage the small I will give you the big one to manage. But if you can’t manage yourself, how am I going to give you the Heavens to be under your control? So then our whole tazkiyya is about understanding myself. What is the reality of my organs, what is the reality of my sun, my heart? What is the reality of the moon that is my face? 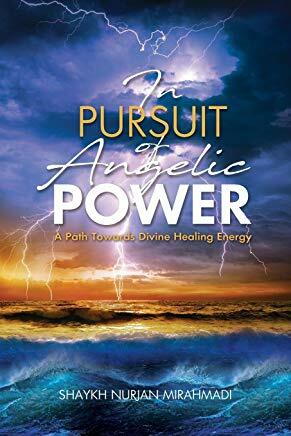 So then other people and other religions busy themselves in trying to open their energy and play with other planets because they work on a different system. Awliyaullah from Prophet (sallallahu alayhi wa sallam): there is one focus for you, it is the heart. There is one piece of the flesh if it is good all of you is good if it is bad all of you is bad. So he (saws) taught them, taught the Companions, taught the Ahl al Bayt, taught Awliyaullah. You want to inherit from the Heavens? You want to inherit from the Heavens go into the heart don’t waste your time on anything else. This is not about the brain, this is not about the Endocrine System, this is not about the liver, this is about only the heart. Conquer the heart, who governs the heart governs the entire body! Then the way of marifa’ah they begin to contemplate and look into the heart and they begin to observe all the desires of the heart. Be vigilant upon the heart that every word the ulul amr speak and teach, how is it affecting my heart? If my heart is palpitating and becoming nervous, something is wrong. Means waquf, vigilance of the heart, your whole life is about being vigilant with your heart. Every reality they are teaching is it causing distress in the heart and why? Then there is something there, there is an issue. Is there a desire that governs the heart that is conflict with what they are teaching of these realities? It means our way is based then on complete vigilance over the heart. When we are observing the heart and the desires and wants that are coming into the heart. Means how then to protect the heart, how then to bless and clean the heart? Where Allah (Azza wa Jal) describes: this is My house. Clean it wash it, bless it and circumambulate around it. This is the heart. I wash my heart bi zikrullah, I am going to wash my heart with praising upon Prophet (sallallahu alayhi wa sallam), with majlis of Zikr. Only the Zikr and awrad has an energy that begins to purify the heart. It is not something easy. And if you are not capable of doing the Zikr and making the salawaat, don’t attribute it to yourself and say, “Yeah, you know, I couldn’t do it.” No, there is an even scarier thought that Allah (Azza wa Jal) is not permitting you to mention His Name on your tongue or on your heart! That, you should be very scared of. Allah (Azza wa Jal) describes in Surat Noor: We allow Our Name to be mentioned in their homes. Allah (Azza wa Jal) says: We allow Our Name to be mentioned within their homes. Your home is your heart. If Allah (Azza wa Jal) does not give permission there is no way you will mention His Name upon your tongue or your heart. That is scary. That is when you begin to cry, “Yaa Rabbi please inspire me to do my awraad, please inspire me to constantly make darood shareef and praise upon Sayyidina Muhammad (sallallahu alayhi wa sallam).” My house is my heart, it’s the only house that matters. Every other horse may go in a tidal wave, may go in an tufan or tornado but what I am taking into this grave is this house. And Allah (Azza wa Jal) says: then We have to allow Our Name to be mentioned within your heart. Means then my whole vigilance is, “Yaa Rabbi please make me to have firmness in my Zikr. Make me to have firmness in the salawaat upon Prophet (sallallahu alayhi wa sallam). Ya Rabbi, let me be vigilant upon my heart and what is trying to come to my heart and what is trying to attack my heart.” Your heart becomes more precious than your home. You can see people and what they prioritize in life. If your home has twenty carats of diamonds and I drove by your house, I bet everything will have solid metal and be locked. All night long you will be thinking, “Someone is going to come and break through the window and steal everything. Where am I going to hide it (dimaond)? I will dig it in the ground.” Dig, dig, dig, and then I will also make all the doors and windows with steel. 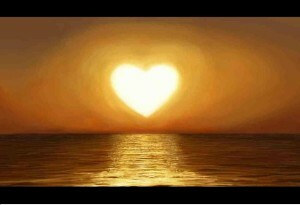 Allah (Azza wa Jal) says: this is for dunya, imagine what I am putting and bestowing of reality into your heart. Why are you so quick to put it everywhere so that it can be stolen? So means then pious people are vigilant of their heart. They don’t go anywhere where it is not necessary to go. They don’t open their heart where it is not necessary to open because they know that Allah (Azza wa Jal) is depositing a treasure within the heart, and Shaytan knows it and wants to just pick at it, and pick at it until you have shak, doubt in your belief. If doubt begins to enter into the belief, know that Shaytan is mining your heart. He is pulling it out, he has got all the treasures and it is a full on raid on your heart. So they teach us, “Be vigilant of the heart, if you want these treasures to be placed upon the heart you have to have istiqaamah and firmness in your belief, firmness in the practices, firmness in the Zikr, firmness in the love of Prophet (sallallahu alayhi wa sallam).” Yaa Rabbi my path is to love Sayyidina Muhammad (sallallahu alayhi wa sallam) more than I love myself. All I want are the shining suns that represent the love of Sayyidina Muhammad (sallallahu alayhi wa sallam). I am not interested in sitting with anyone else because anyone else will take the jewels from my heart. Some people go everywhere like it is a free bazaar. And you don’t know who is putting jewels into your heart or who is taking the jewels from your heart because within two or three words of what they say you find yourself having doubt and darkness comes. So you don’t just go anywhere, you don’t just pray anywhere. You want to make sure that is a shining sun and those are the lovers of Sayyidna Muhammad (sallallahu alayhi wa sallam). 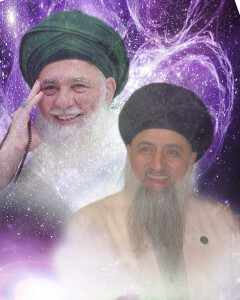 They are going to deposit the love of Sayyidina Muhammad into my heart. If it is not, and they are not shining that light, they are going to send darkness into my heart. They are going to come against the Sunnah, they are going to come against the Hadith. We said before, in your heart and in your mind don’t ever say, “This is a weak Hadith.” There is only a weak believer who is filled with shak and doubt. And all they want now is to attack the Sunnah of Prophet (sallallahu alayhi wa sallam), attack the greatness of Sayyidina Muhammad (sallallahu alayhi wa sallam) by constantly putting doubt, constantly putting doubt and they say: they are only Ahl al-Qur’an. This is hizbus-shaytan. 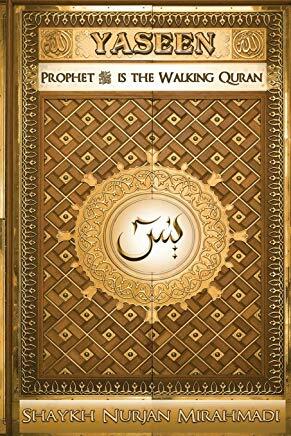 Qur’an does not open without the love of Sayyidina Muhammad (sallallahu alayhi wa sallam). We are not the people who have any doubt. If you don’t understand that it came from Prophet (sallallahu alayhi wa sallam) then you should be making tafakkur, contemplation, and connecting your heart with the heart of Sayyidina Muhammad (sallallahu alayhi wa sallam) and he (alayhi ‘s-salaat o salaam) will confirm within your heart exactly what it is and its reality! 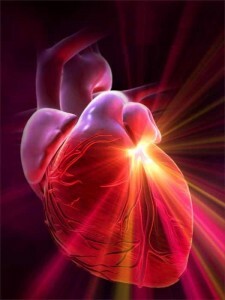 So we took a path of how to open the heart and as soon as we open the heart we realize the organs and their importance. Allah (Azza wa Jal) is saying: if you don’t have a Sun your galaxy is already dead, how are you going to manage My galaxy? So we go and say to the shaykh, “I wonder if this person was enlightened? He is watching TV and levitating off the ground, is he enlightened? Does he have spiritual power?” That is very easy for us if the person’s heart is lit, and lit with faith that will dress all the organs. From the Hadith of Prophet (sallallahu alayhi wa sallam): if one piece (the heart) is good all of that person is good, if the heart is bad all of it is bad. Means if the heart is lit, their galaxy has a Sun. Whatever practises they are doing, their heart is becoming stronger and stronger and stronger and what is the most favoured time for Islam? It’s the full moon, the time of perfection, because the Moon is capturing all the light of the Sun. Imagine then the Power Allah (aj) Gave to Awliya? People of tafakkur stop there and make tafakkur. What power does the Sun have on Creation? If that is an imitated Sun and Awliyaullah and pious people if their hearts become a real Sun, that Allah (Azza wa Jal) gives them Noorul anwaar wa siratul asraar [The light of the Lights, the Secret of the Secrets]. If that Noor really opens within their heart what type of power does that light has? Don’t you take your vision from the Sun? Don’t you take your breath from the Sun? Isn’t all the vegetation you are eating from the shams? What then are you getting from the Awliya? If their souls are more powerful than the Sun? Sayyidina Yusuf said, “They are all bowing down to me,” means ‘my station is above their station’. What are you then taking from their souls, if their heart is emanating and dressing? What do you take from the Moon? How it raises vegetation, how it brings the tides up and down, means everything on this dunya is affected by that Moon. So it is not a something small. It is so huge that Shaytan’s only interest is to make sure nobody reaches that reality. If you should reach that reality you are more powerful than a thousand men on this dunya. If your heart becomes a sun, it is a sun in which eyes can see. We talked about the Sun in the Heavens. How is it shining (continuously), then it has layli (dark), then when it enters the Earth it is nahar (sunshine). The Sun is always shining but we haven’t the eyes to see its light. 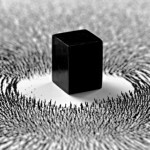 Only when it enters dunya we can only see that line of it, that electromagnetic pulser, what it enters into dunya Allah gave us the ability to see. So what light is Allah (Azza wa Jal) sending upon these souls and the realities of these souls? They open their heart and their heads become like a full Moon and every organ of their body is governed in its reality. Then they come into your life (and teach) that within yourself is the Tree of Life, which are your lungs, and nafs ar-Rahmah (Breath of Mercy) is going to be the power and Qudrah for your entire galaxy. Because you want to inherit. “Yaa Rabbi I want to inherit Your Heavens, I want to inherit Your Heavens.” So then what are you doing smoking? You see some people saying, “O this is a big shaykh and he is (puffing) on a cigarette.” His sidratul muntaha is on fire. [Laughter]. What are you talking about? How is he a big shaykh? You think he is from Awliyaullah, that Allah (Azza wa Jal) gave him to inherit from the Heavens yet his Tree of Life is on fire? It’s impossible. Everything within our body is of importance. You are breathing in (for) this galaxy that Allah (Azza wa Jal) gave to you. Every breath of nafs ar-Rahmah that comes in. Our way is based on the power of that breath. That nafs is the power of your sun. It comes into the lungs and dresses from Allah (Azza wa Jal)’s Zikr and Lights and Rahmah. From that the blood takes it and goes into the heart. If your breath is bad your heart is destroyed, not the fragrance, but the quality of the breath. 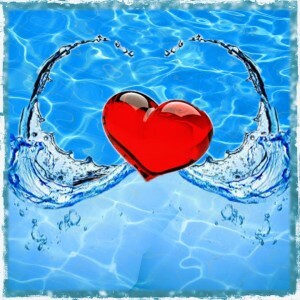 Means if the breath is not coming in pure and clean, (heart is destroyed). That pure and clean breath is what gives energy to the heart, gives the power to the heart. 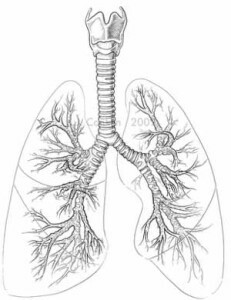 Then the lungs you see them as a tree upside down, why? because this is the Tree of Life. Every life, every reality of yours is coming through that breath, if you don’t govern the breath and understand that breath…it is a Treasure from Allah (Azza wa Jal) and Awliyaullah tell us there are 24,000 Treasures in one day, 24,000 realities in one day. Every breath is with a shukr and thankfulness to Allah (Azza wa Jal). It means then (also guard) your liver and kidney. You understand that you have to govern your breath and no doubt Shaytan wants to come into my being, and how is he going to come into people’s liver? By inspiring them to drink that which is not halal. When they drink something questionable or outright forbidden it is entering into the blood system, it is like shayateen that are attacking the body. They want to destroy the defense of that galaxy. They know that if you become a powerful galaxy you are going to wreak havoc on the shayateen and their plans for dunya, but if you empower yourself it is a difficulty (for them). So they know that to destroy the liver, inspire him to drink that which is not acceptable allowing the shayateen inside the body and into the liver. The shayateen are coming within the blood and attacking the heart. Shaytan is so obsessed with destroying insaan that he makes him to smoke now from a cold smoke, because he couldn’t kill him enough with a warm smoke. You can only breathe so deep with fire. Have to been to a sauna and you take a deep breath and it starts to burn after that? So Shaytan asks, “How am I going to get to my dhuriya, progeny, deeper into that insan (human being)? I’ll make him smoke something cold.” So the e-cigratte is a cold vapour to take the shayateen deeper into the body. The Sheesha has 100 cigarettes in every puff. 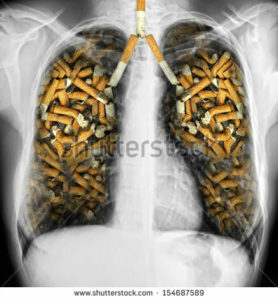 To completely kill and destroy the lungs so that you destroy the heart and the blood of that insaan. Sayyidina Yusuf (alayhi ‘s-salaam) is coming and teaching: Allah wants that: to purify ourselves, purify your being. Make your first Hajj within your heart. Govern all your organs so that they are perfected and purified and that Shaytan is repelled from your being. Only at that time Allah (Azza wa Jal) grants sincerity and the heart is lit and the Moon is shining, means their galaxy is lit with energy. Any deficiency within their organs, their sun will clean it, the sun within their heart; the energy that Allah (Azza wa Jal) is depositing will begin to clean all the organs and everything of their being. At that time Allah (Azza wa Jal) begins to grant the inheritance of the Heavens. 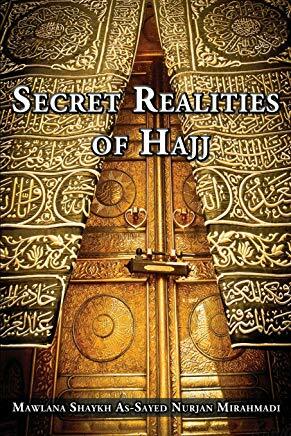 Then the Hajj of Iman is towards the reality of Prophet (sallallahu alayhi wa sallam). Subhaana rabbika rabbil amma yasifoon wa salamun alal mursaleen wal hamdulillahi rabbil aalameen. Bi hurmati Muhammad al-Mustafa wa bi sirri surat al-Fatiha.